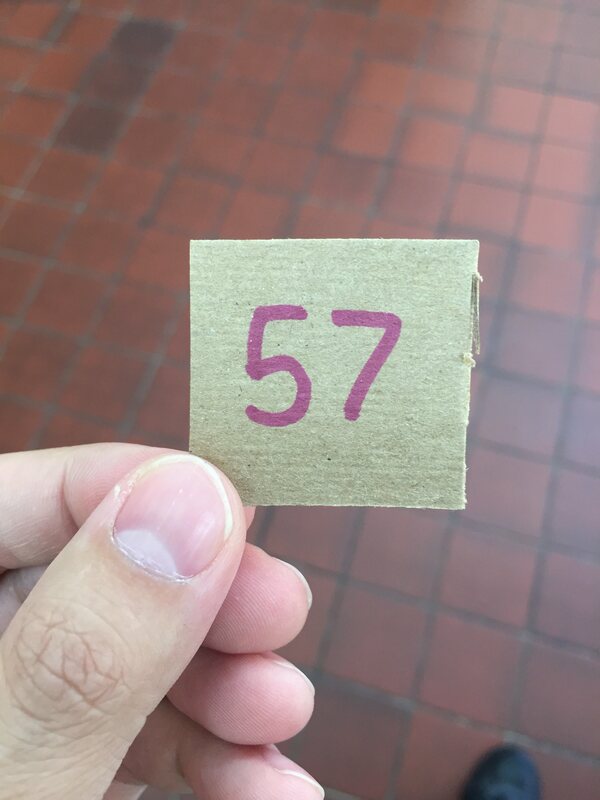 The ongoing 84 construction, which currently brings traffic through Waterbury from either direction to an obstinate halt, has a way of liquidating my patience and keeping me from more southwestern destinations like Denmo's or the Bethel Hot Dog Palace. That happened again today, when, due to having to go into the office for a few hours, I wasn't able to get on the road as soon as I would have liked, and my lunch was delayed past 1:00. 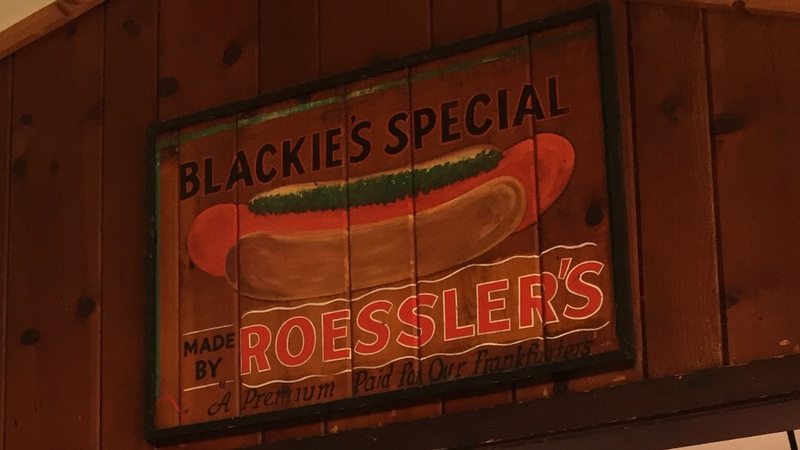 However, I'd never gotten around to having a burger at Blackie's, so I consoled myself with the fact that I would still be getting a new experience. I love, love, love the unique seating arrangement here. Whereas most stands deliver your food through a window and then have you fend for yourself - or, if you're lucky, provide a handful of chairs and tables (and don't get me wrong, if you're after a particular type of experience, this is all integral!) 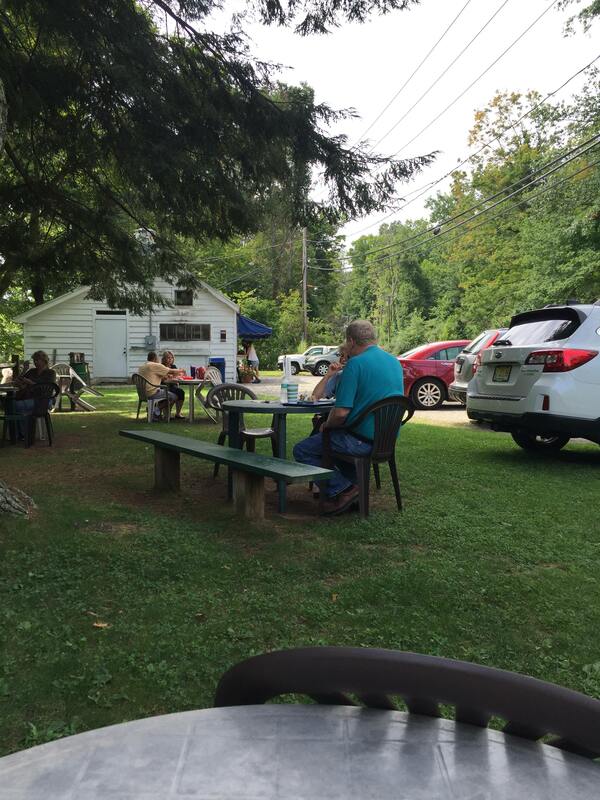 - at Blackie's, you just stroll in and sit down immediately, with the summery outdoors right behind you. Blackie's remains the only place where I've seen condiments provided in this fashion; my perception is that it used to be more common. Michael Hoffman once mentioned that Howard Johnson's used to keep their brown mustard in countertop jars with spoons. 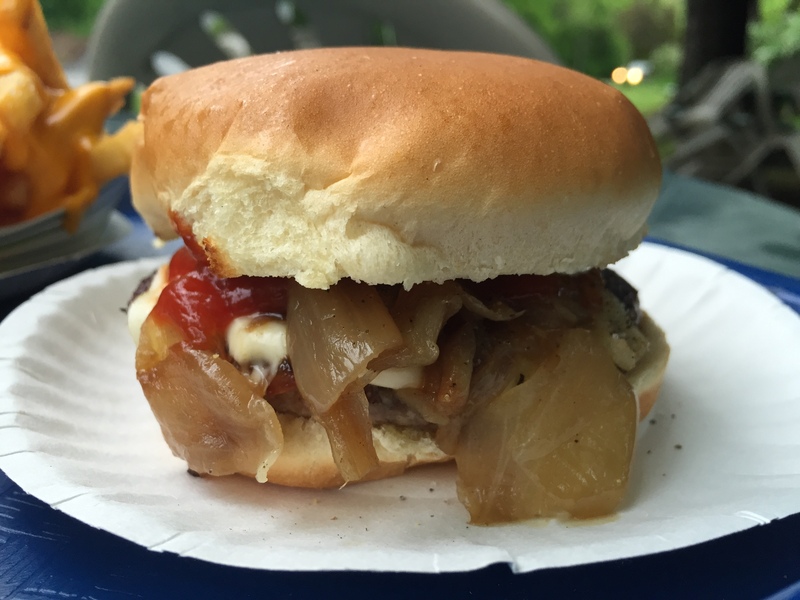 Turns out their trademark relish works just as well with beefy burgers as it does with porky hot dogs... maybe even better. Good - darned good. Enough that I may have to get it every time. 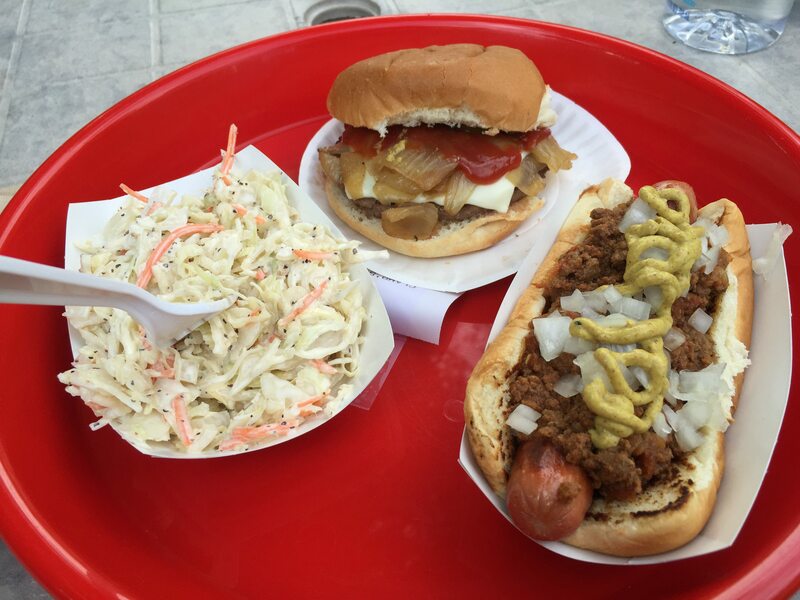 Of course, I couldn't sidestep the hot dogs entirely. Beautiful, isn't it? Of course I loaded it up with toppings seconds later, but I wanted to show that glistening, beckoning, humble work of meatcraft. 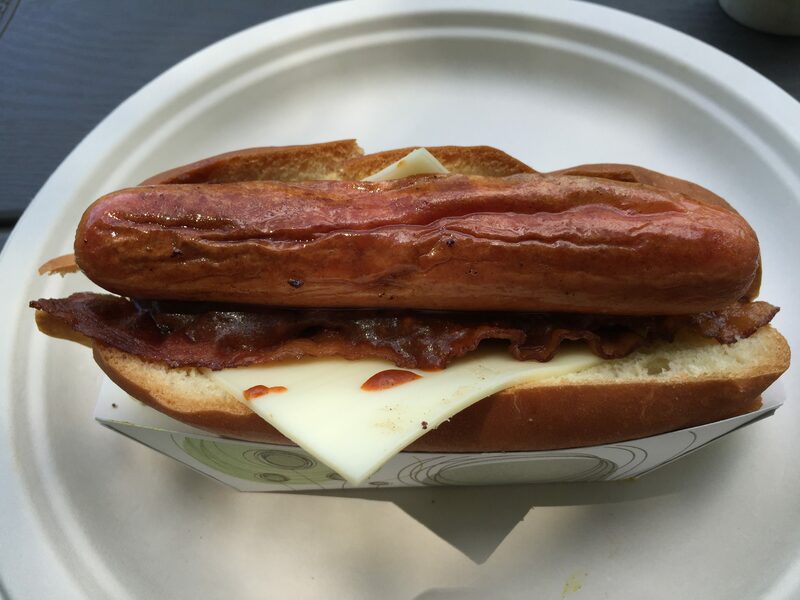 This was easily the most inexpensive of all the stands that I'd been to this summer: a hot dog, cheeseburger, and bottle of water came to $7 even. 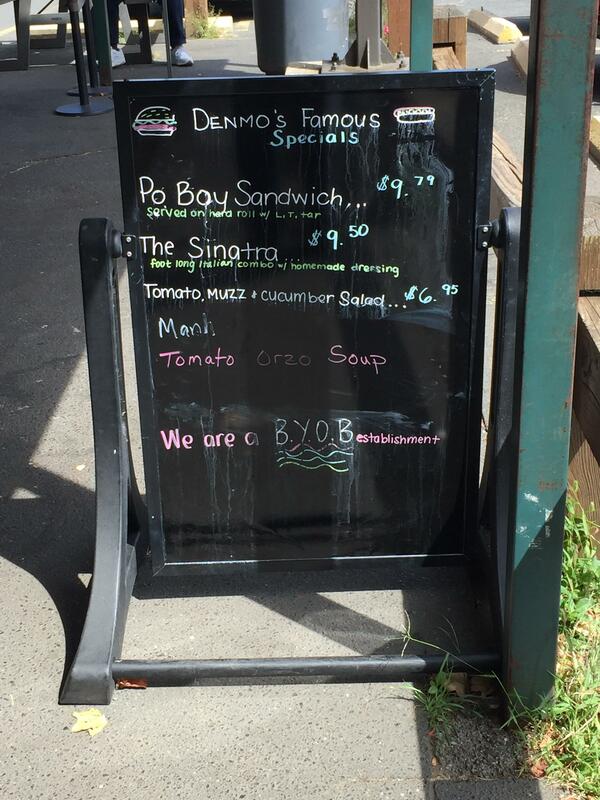 Also, the menu was the simplest: no coleslaw, mozzarella sticks, fried veggies, or jalapeno poppers here. Potato chips are the one and only option for a side. They reminded me of Louis' Lunch in their dedicated adherence to their original offerings - and perhaps they're even more impressive, as their prices have remained low and they don't really have a Louis' Lunch-sized reputation. 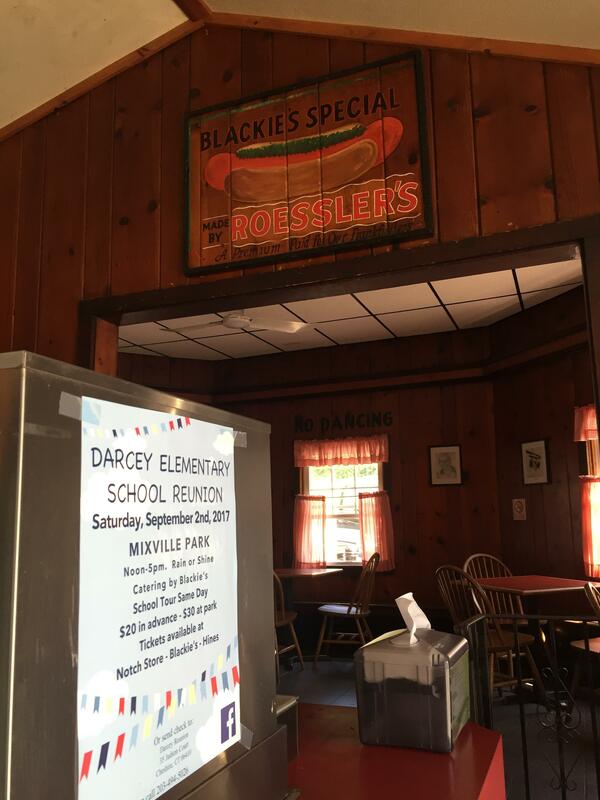 In a field where the appeal of many establishments comes from the illusion of "time standing still", Blackie's may, in some meaningful ways, come the closest to actually doing that. Summer and the eating-outdoors weather that comes with it are fading, but I figured I could squeeze in one more roadside experience. 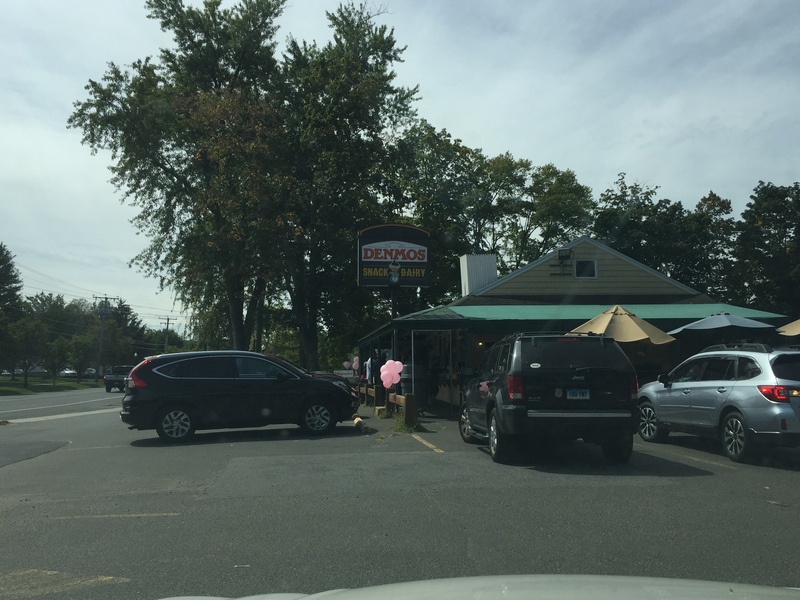 I therefore pushed through the Waterbury-clog on 84 and finally headed to Denmo's. 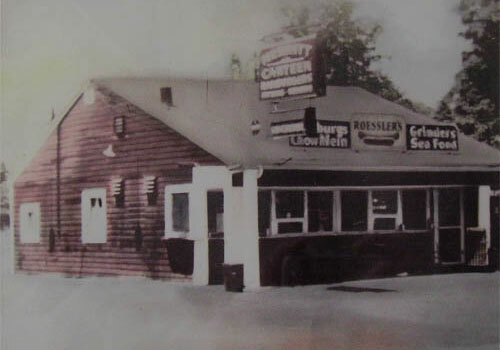 A broad menu, similar to Harry's in Colchester. 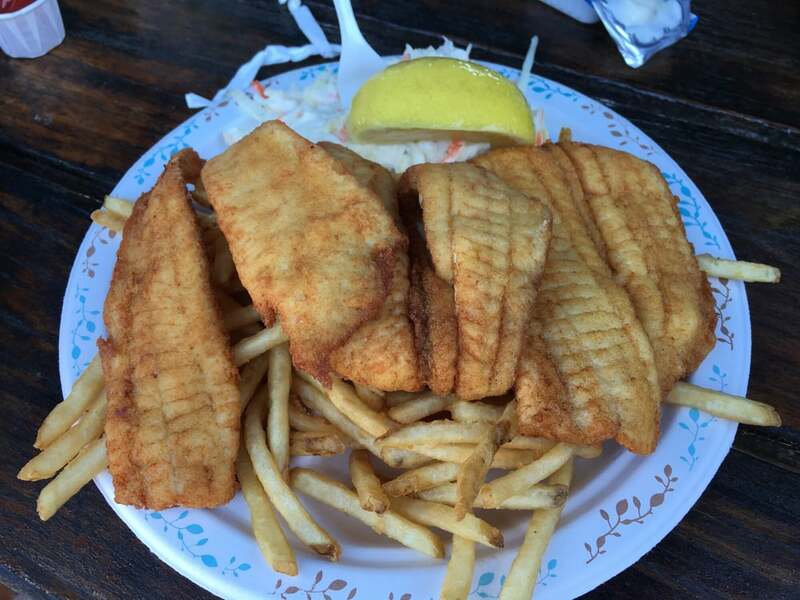 Not shown is the seafood section, with clams and lobster roll. Chicken had a large and tempting presence, but again, I stuck with my usual picks. If you look closely, you can see differences in fonts - their original items use a font that was extremely popular in the '70s and '80s. I never, ever get tired of this classic layout. 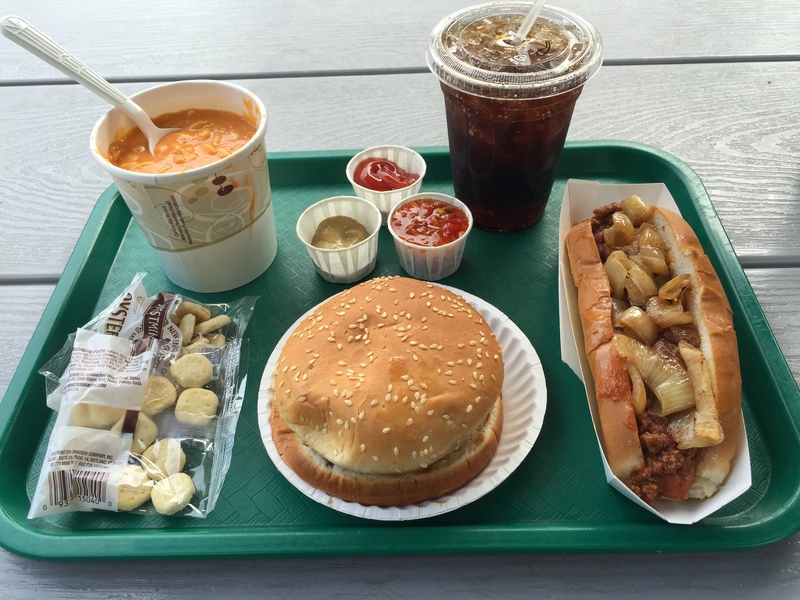 A cheeseburger with fried onions, pickles, ketchup, and mustard, a foot-long with chili and fried onions, tomato orzo soup (one of three available, the others being clam chowders), and root beer. 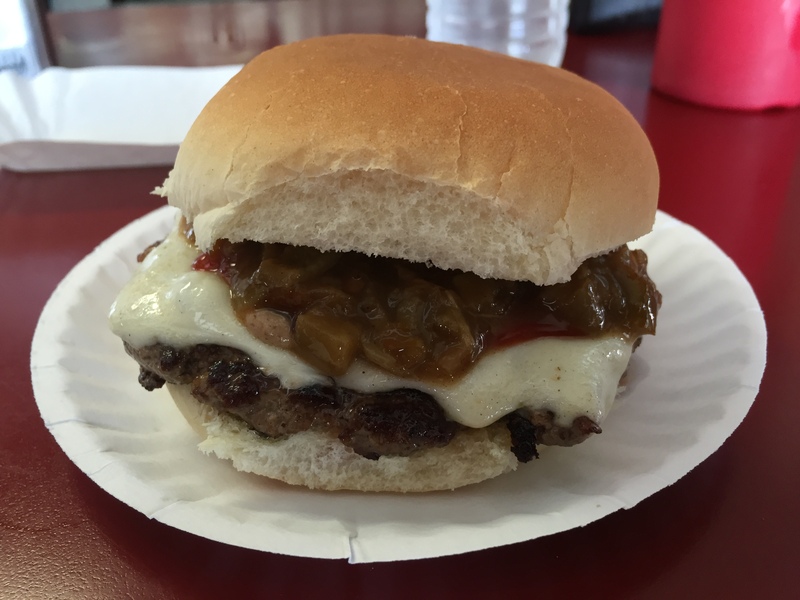 The dog was excellent, a split and grilled Hummel on an appropriate bun; the chili was tasty and balanced, not as standout as Heibeck's but more than enough to work both as a topping and in its own cup; the onions were fried to just the right spot in between tender and firm. 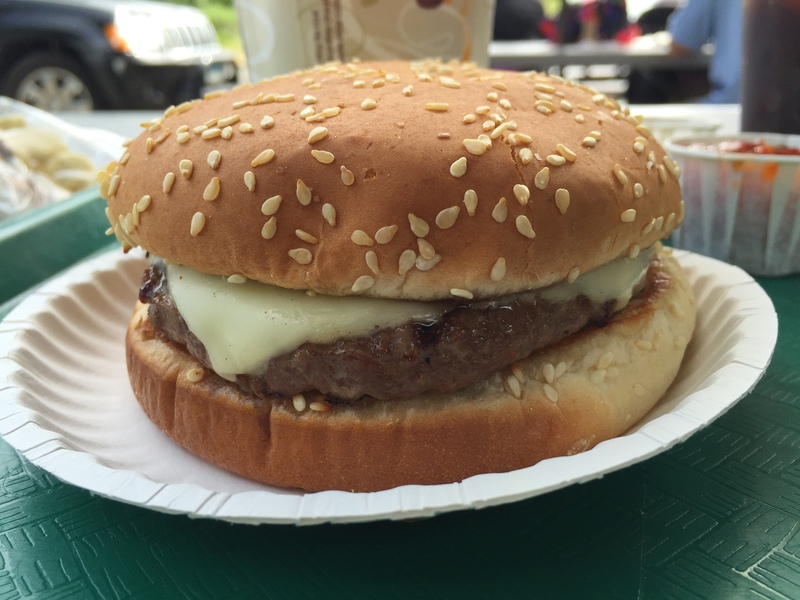 The burger was indeed charbroiled as advertised, a nice break from the griddle-frying that I'd become used to. Oddly, the fried onions were on the bottom. Now, there's no written rule that you have to place them on the cheese... but man, they sure work better that way. Addictive soup, a thick and creamy tomato orzo. Now that I think about it, it would have been a great dipping substance for fries. 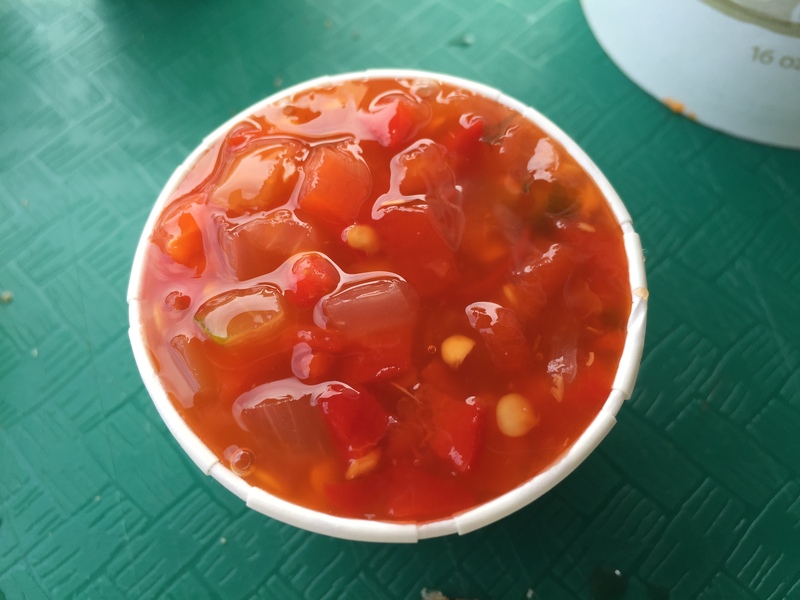 Special note to their spicy relish, which was so good that I actually emptied my first cup and went back for a second. As you can see, Denmo's, like many of these places, is in the upper tier for price. 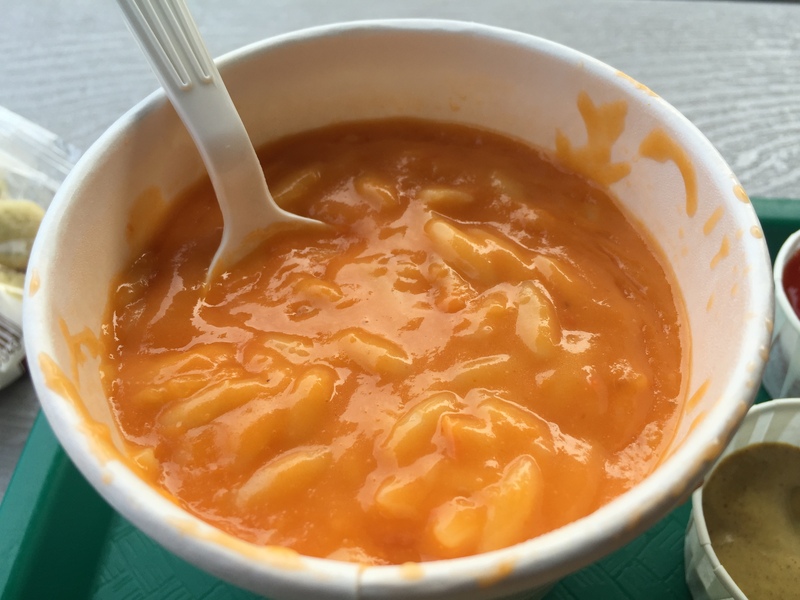 One thing stood out to me: $4.79 for the soup, and then a $0.25 surcharge... why? 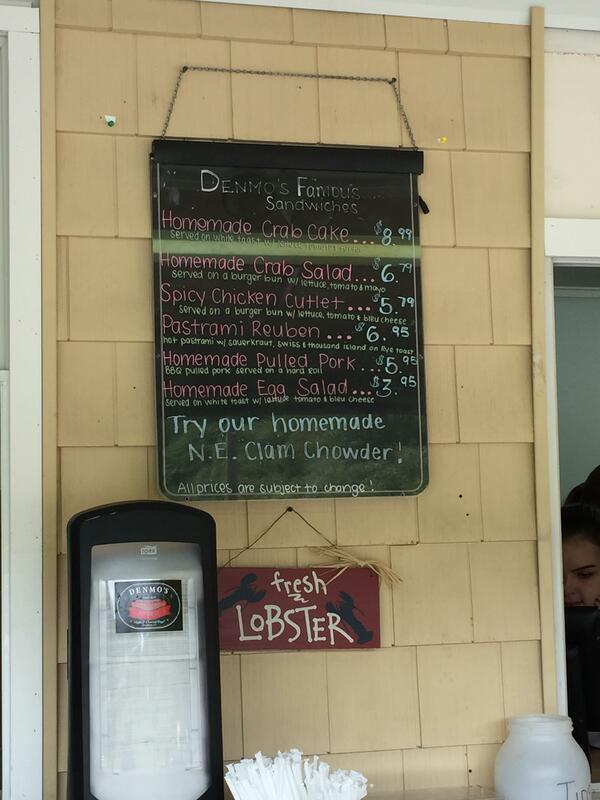 You'd think the chowders, which contained seafood, would be the premium ones. Unless the surcharge applies to all of them. I dunno. 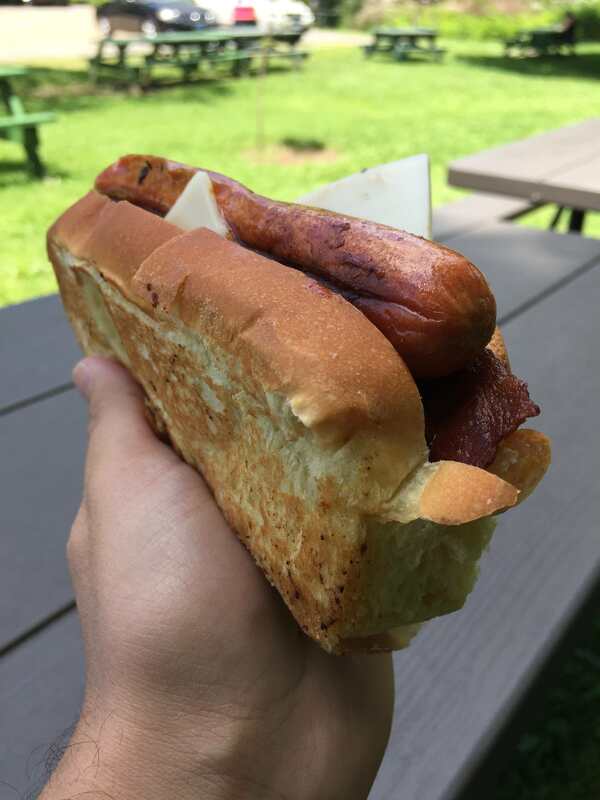 And so, unless I somehow manage to get out to the Bethel Hot Dog Palace within the next twenty days, I close out my summer tour of Connecticut's roadside eateries. With the exception of Clamp's, I only had one meal at each, but this was enough to start compiling a list of who does what best. 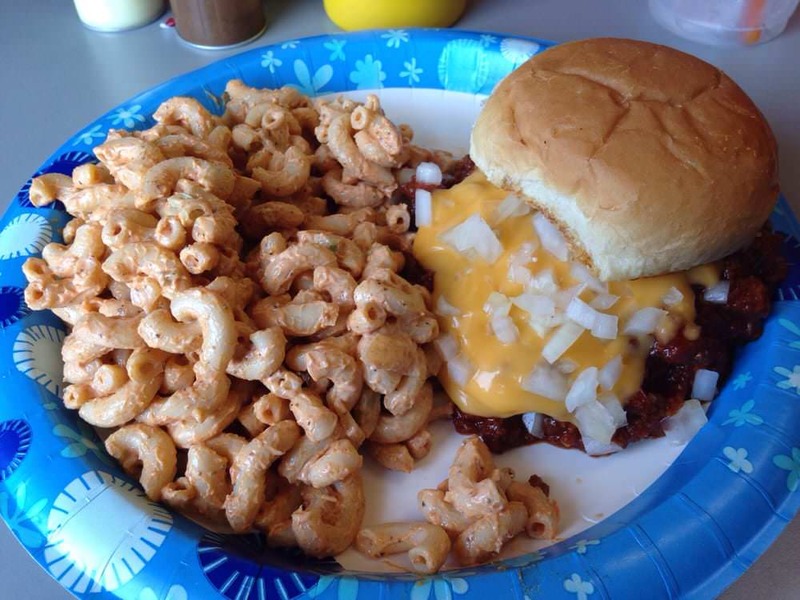 There's as much subtle variety to be found in this category of food as there is in pizza, grinders, or anything else that this state does fabulously. The unavailability of Pilot House kept nagging at me, and it will be the very first place that I check in on when next summer arrives. For anyone that doesn't have an entire season to cavort around stuffing burgers and hot dogs into their face-holes, I would say that the most substantively authentic/anachronistic experiences can be found at Clamp's, with its tiny, anonymous house-shack nestled in between a somewhat-remote highway and a wooded area, and at Blackie's, with its stubbornly simple menu and low prices. It's not summer yet, but hey, I'm going to Harry's anyway. 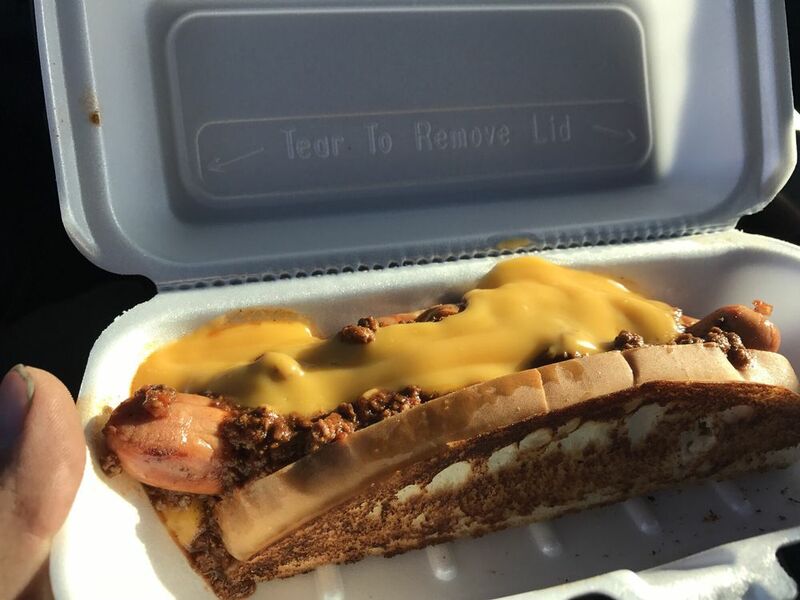 Bacon chili cheese dog. I asked for onions and mustard as well, but they were forgotten. Ah well. The chili remained as underwhelming as last time, but the dog itself was a quality Hummel and the bun was grilled to absolute perfection. Man that dog looks good! 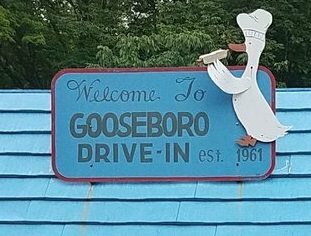 I'd intended to go to Clamp's today, but I got a late start and wasn't willing to wait the few extra minutes' drive down 202, so the Gooseboro Drive-In in Bantam it was. 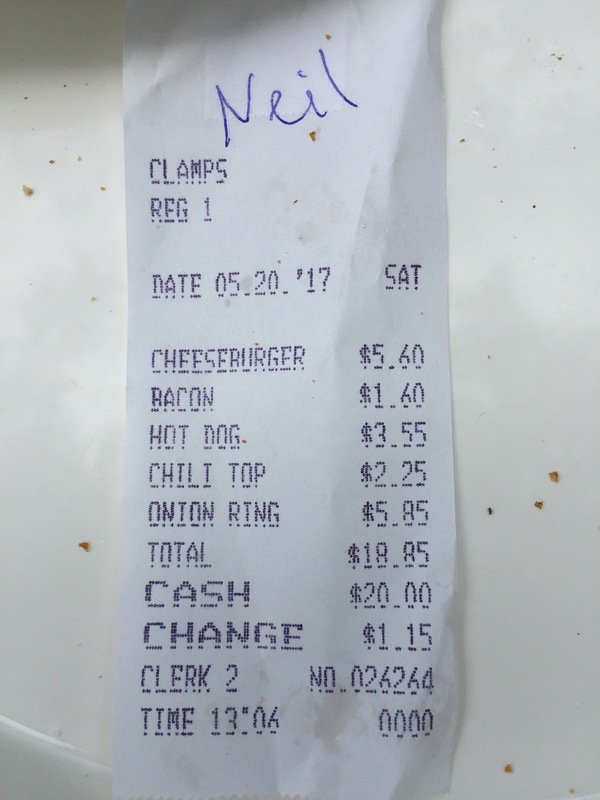 A touch cheaper than Clamp's: cheeseburgers are $5.05, hot dogs $3.59. 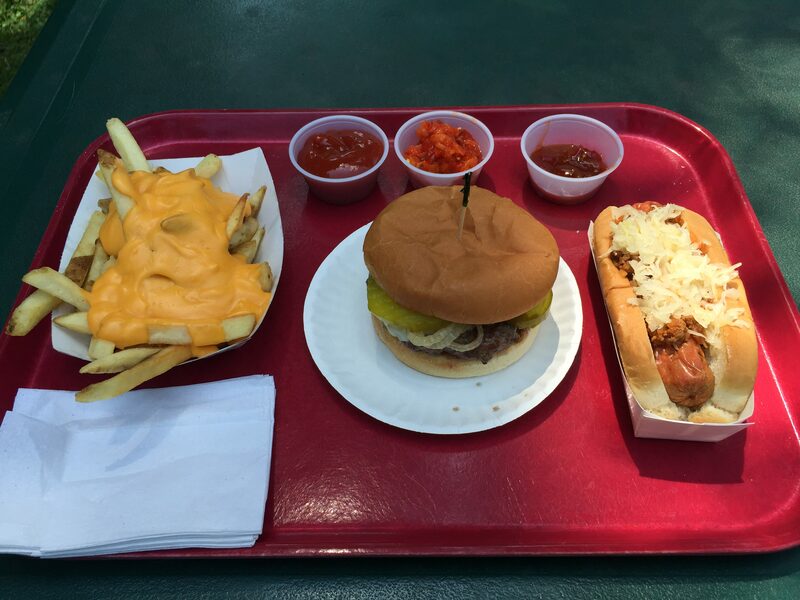 The usual test: one burger, one dog, fries. 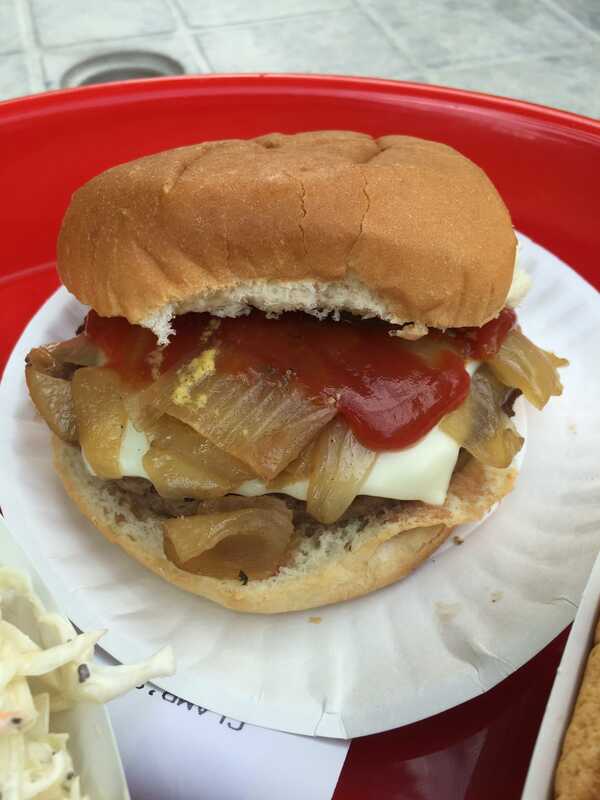 A decent enough burger, but they really need to step up their fried-onions game. I mean, c'mon. 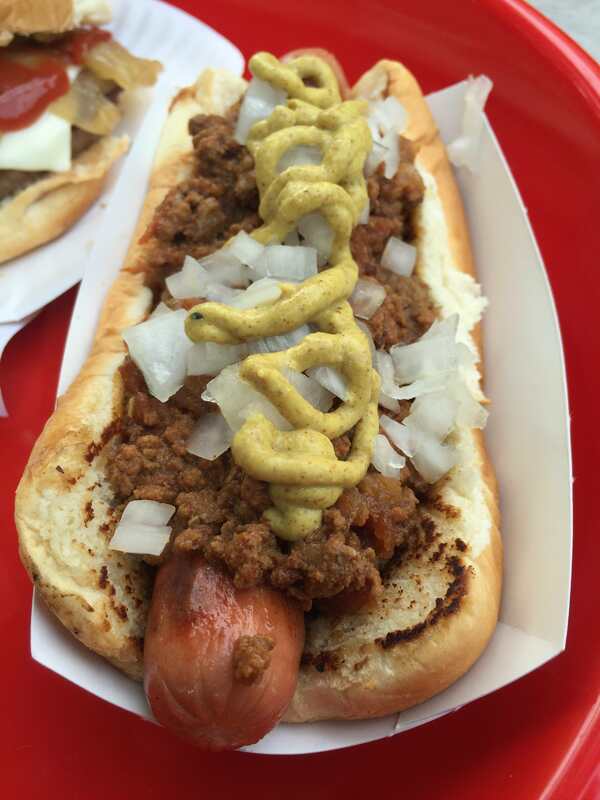 The hot dog fared better, with your standard New England bun and a noteworthy chili that was almost as standout as Heibeck's. The dog itself didn't have much snap, and I neglected to ask where it was from. 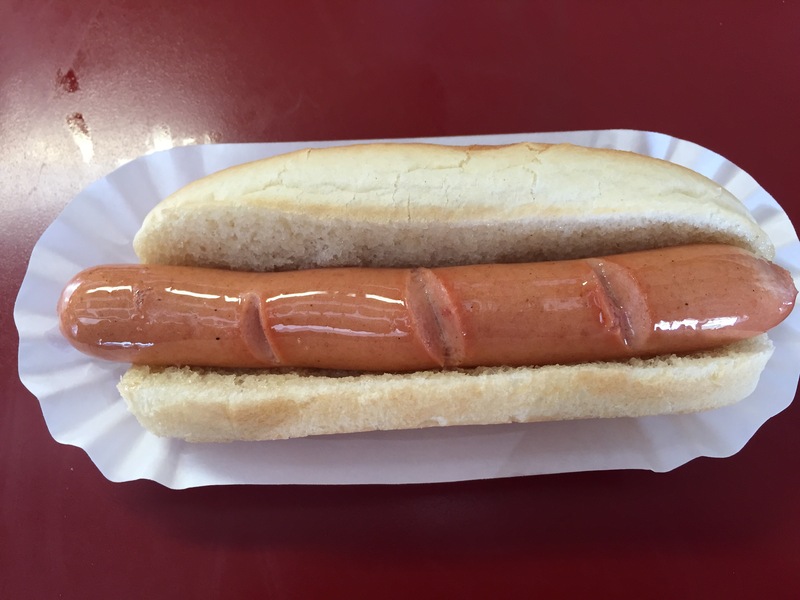 What I'd ordered was a regular size, but their "long hot dog" might be different in ways other than length. 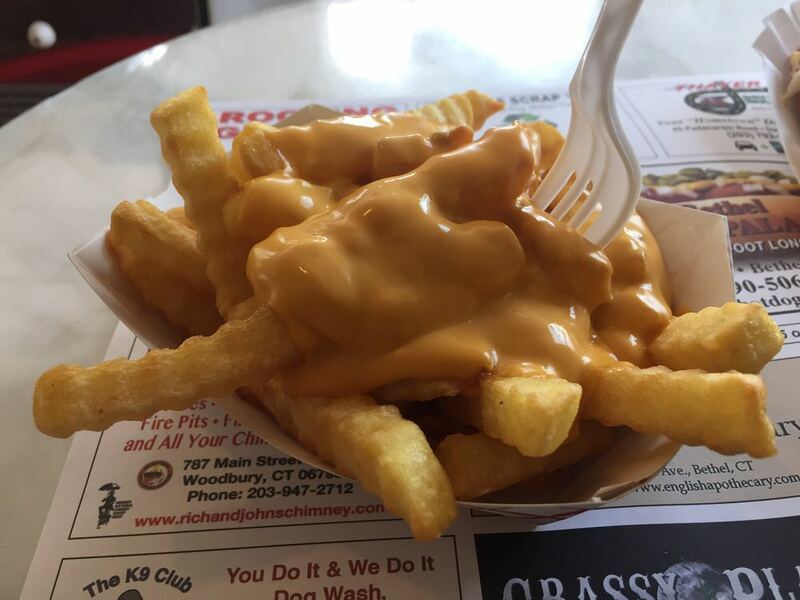 Refreshingly, the fries were straight-cut, not the crinkle cut I usually see, with a cheese sauce that bespoke real cheddar. I'd recommend them over the fries of pretty much every other roadside stand that I've tried. I enjoyed everything while taking in a classic view of which I never get bored. 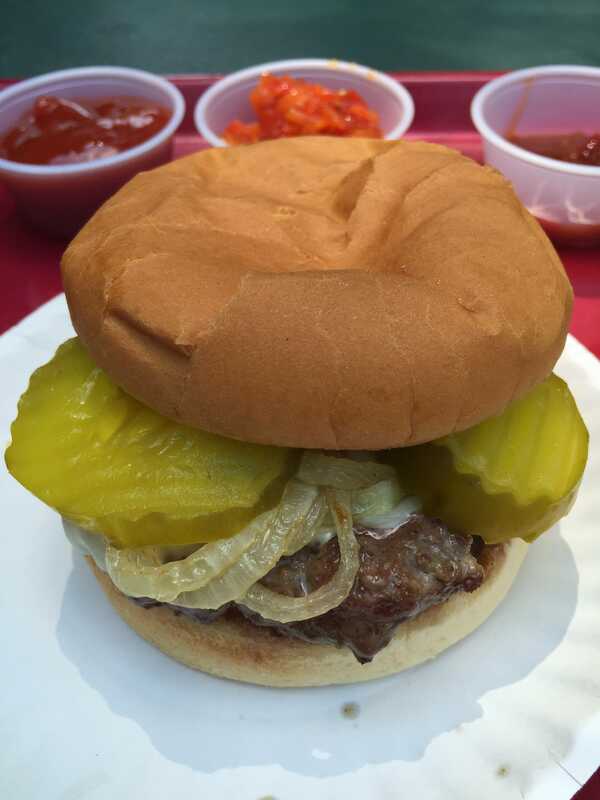 A good solid place overall, and I wouldn't mind trying some of the other items on their menu (they had knockwurst!)... but, honestly, now that I've been there, it would be hard to pass up Clamp's if I'd already driven out this far. 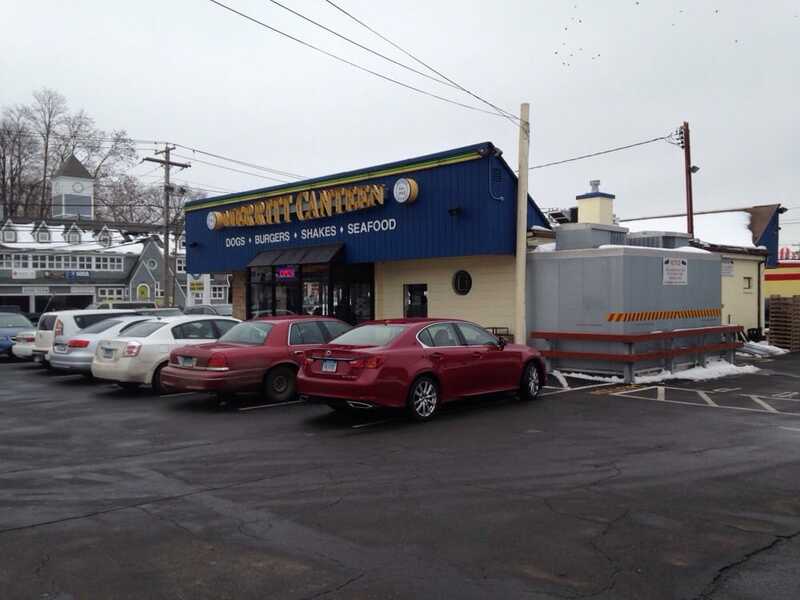 Merritt Canteen (would not let me post a link) Bridgeport CT. Has been there for years. Have not been in ages but used to be excellent. They have been in business for over 60 years. Love this thread! Curious, do these stay open just to Labor Day, end of fall, etc.? Also, any favs near Mystic and let's say 25 miles radius? Goning to be there in late October. 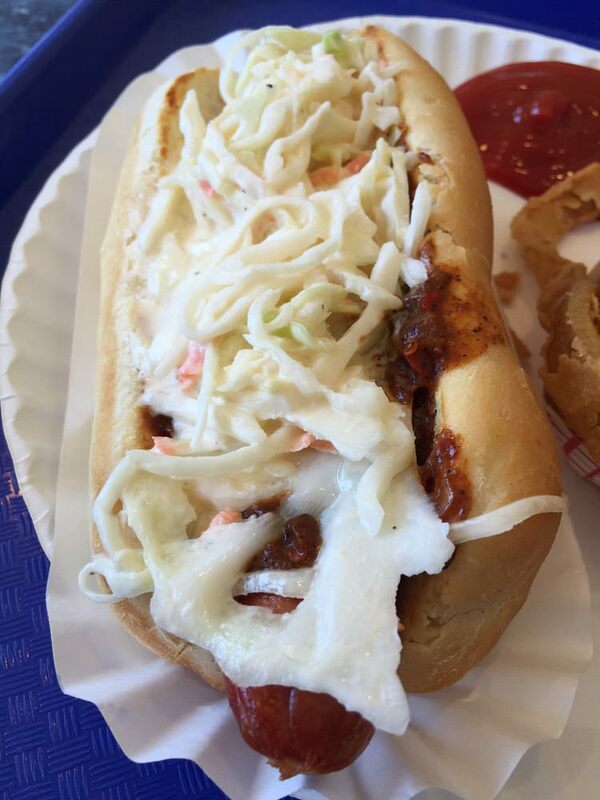 Kamp Dog in Groton is kind of near Mystic. 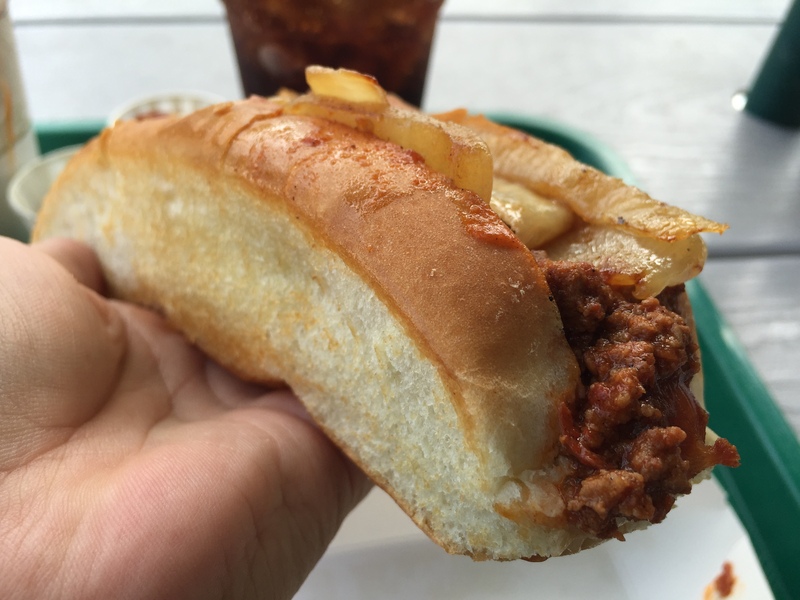 Here is a photo of their chili cheese dog. (correction it is in New London...duh, my husband just told me. We loved the hot dogs there. 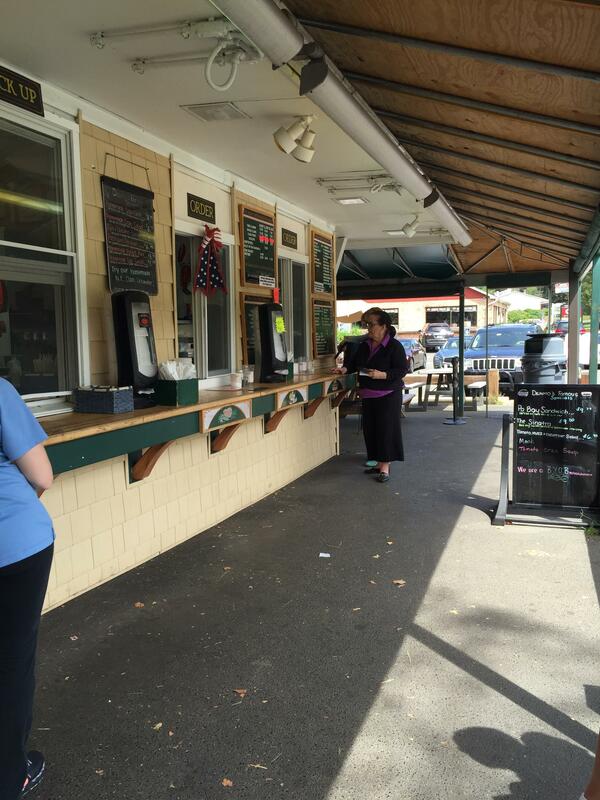 Also, Fred's Shanty in New London CT is great for hot dogs, hamburgers and fried seafood as well. 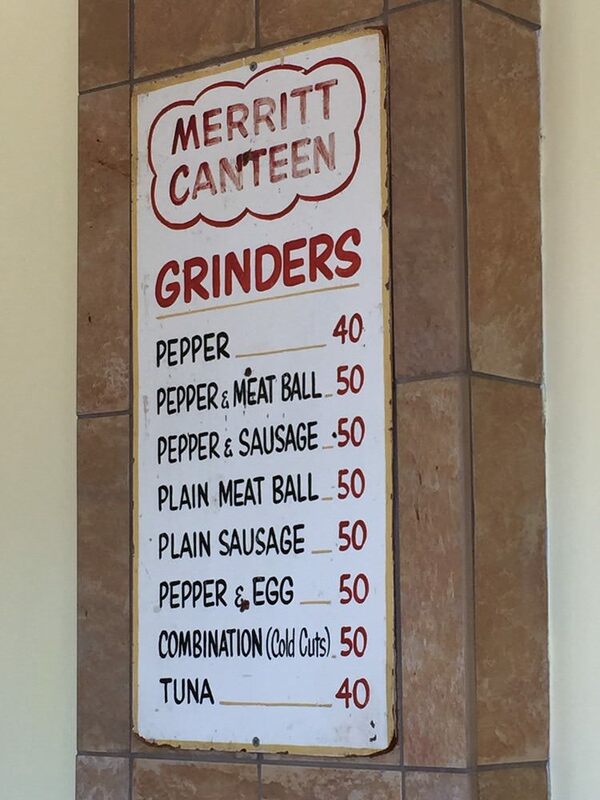 CTD - some of them, like Clamp's and Harry's, are indeed seasonal; others, like Al's and the Merritt Canteen, which include indoor seating, are year-round. 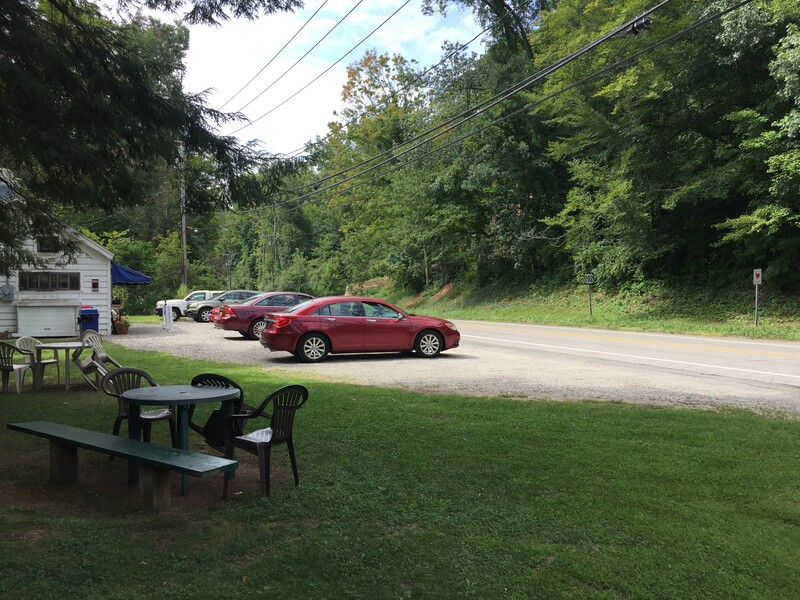 Of course, the true roadside experience is inherently restricted to certain times of the year, but you can get a good burger or hot dog anytime... you may just have to drive a little further. 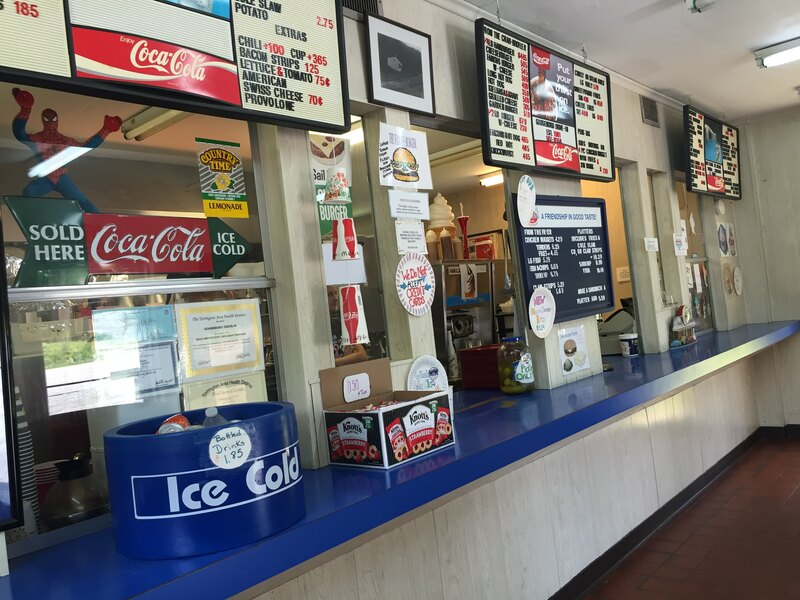 I echo JoyB's call on Kamp Dog - I had a wonderful burger there a few years ago. I don't get down to that corner of the state as much as I should. This will serve as my reminder. 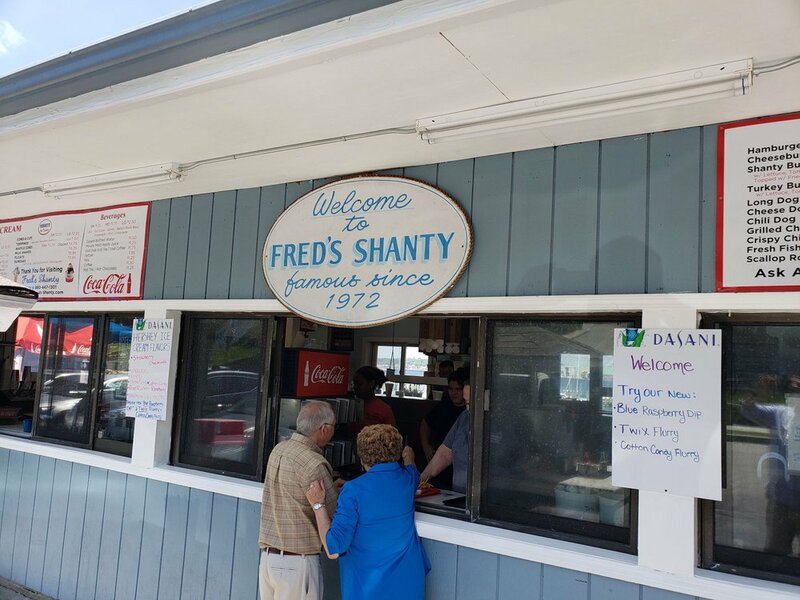 Hadn't known about Fred's Shanty, but it is now bookmarked! 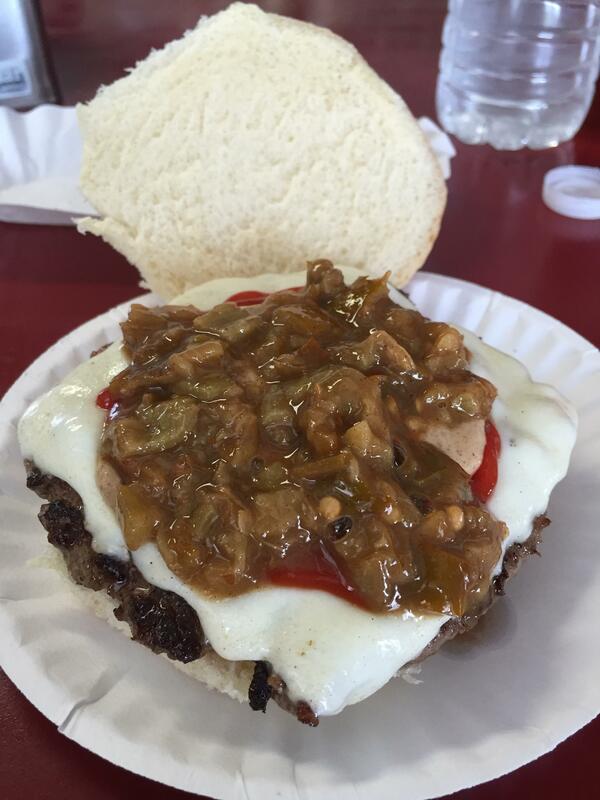 Here's the Firehouse Burger that I had at Kamp Dog. It comes with their Dynamite meat sauce. They have a huge breakfast burrito that I'd like to try - it has six (!) eggs, cheese, home fries, and your choice of meat, including steak. 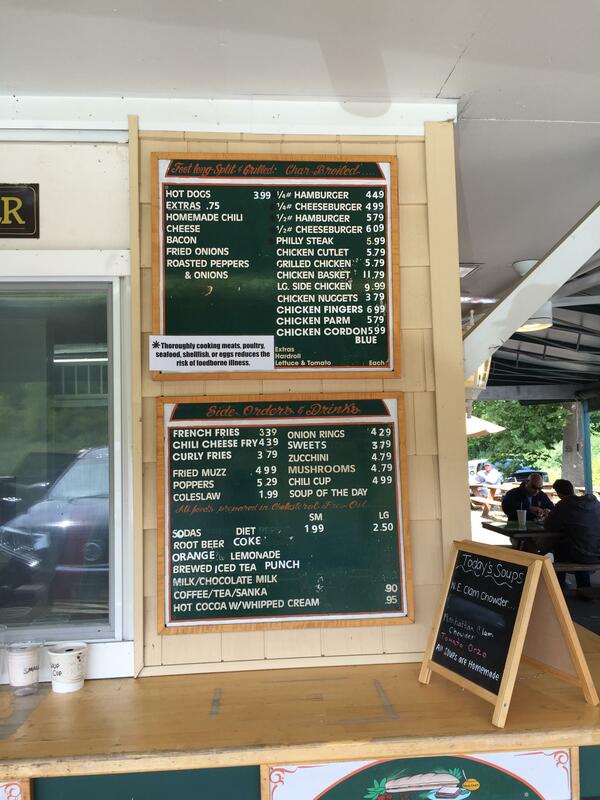 The Merritt Canteen is also a fine choice if you ever happen to be in the Bridgeport area. I was there just a couple of months ago, but somehow forgot to share the visit here. I compared it to their current menu, and only the tuna survives! Thanks guys...gives me a leg up on this area. Several Roadfooders converging on the Mystic area towards the end of October and we'll be hungry. 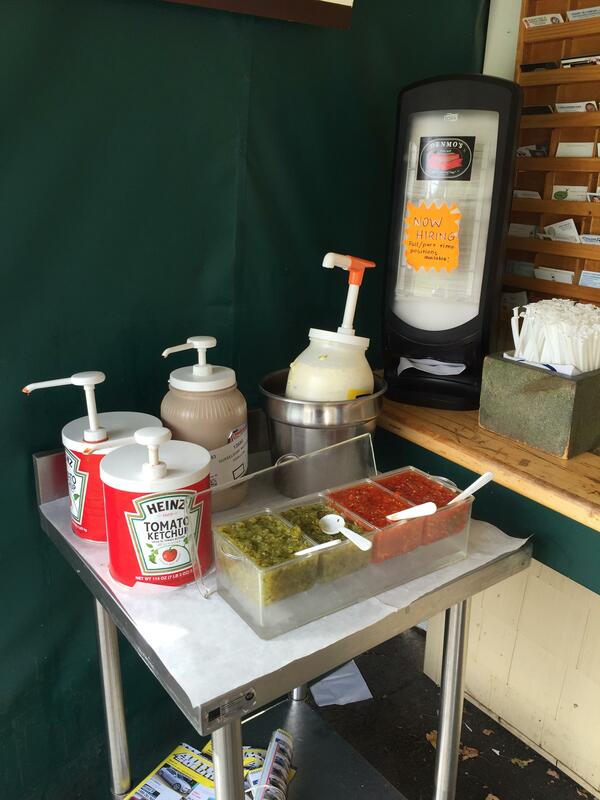 Planning a detour for apizza in New Haven and a whole lot more including one or two of these dog/burger stands. Right up my alley! Thanks again! Giving me ideas for the next time we go up to the Boston area. The only Conn. hot dog place we tried was because of the name that made my kids hysterical when they saw it on a road sign:Super Dooper Weenie. Not bad...had better here at the Windmill and on the board walks, but nice toppings...and as we remember, the fries were pretty good! Hmmm....wonder what's happening in the Mystic area? Must be something in the name that produces great hot dogs!! OOhhh they have milkshakes at your Windmill. Something for everyone. Sounds like a great place. 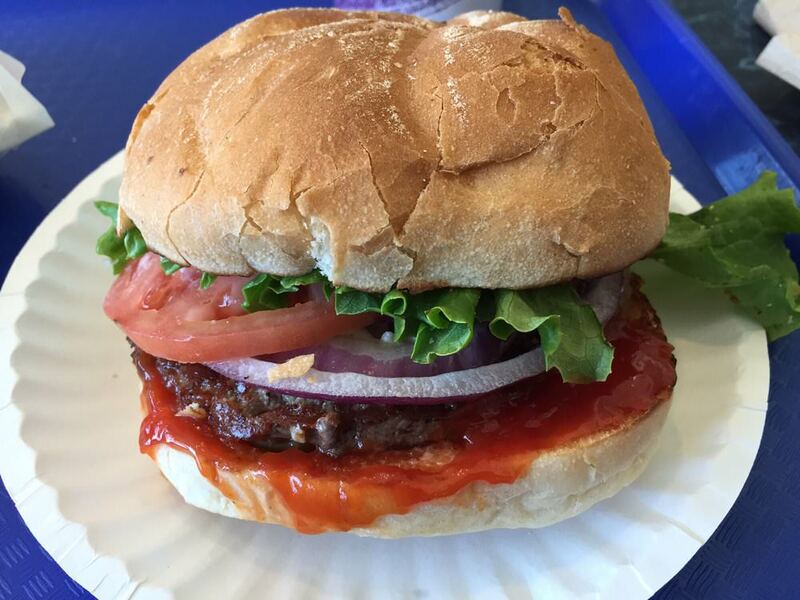 Burgers are fresh, never frozen which to me is a sign that they care about the food more than the average run of the mill place. 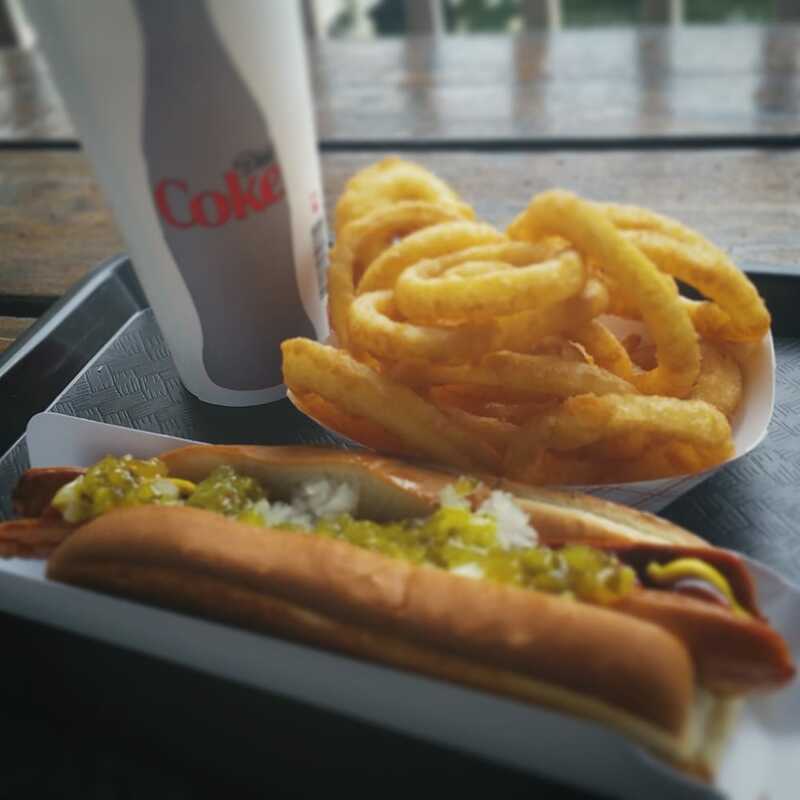 It is a good place..great burgers...but for New Jerseans, it is the Hot Dog that shines. 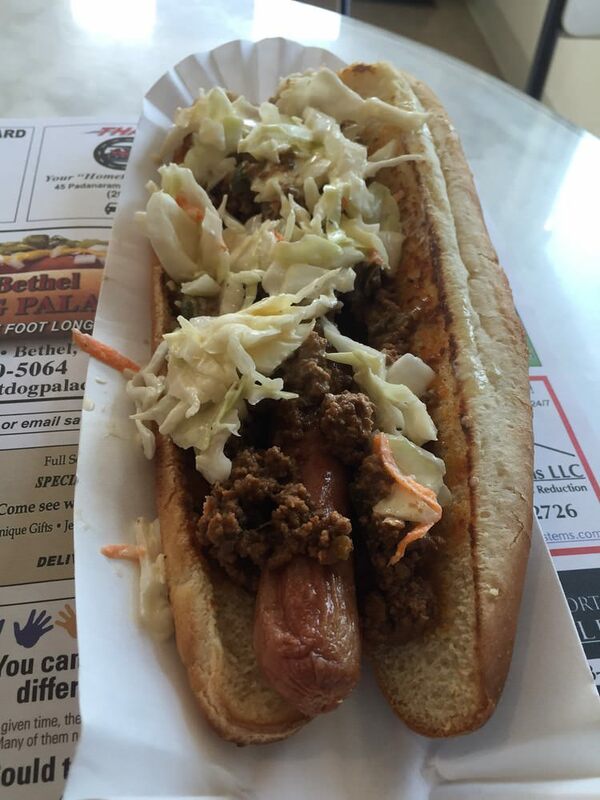 It is a jumbo natural casing dog made by Sabretts, just for them. Superb taste. Last year they started selling them in super markets around the state...and you can even order them on line. The only dogs I buy now. Ketteract, what a wonderful thread, so beautify illustrated. 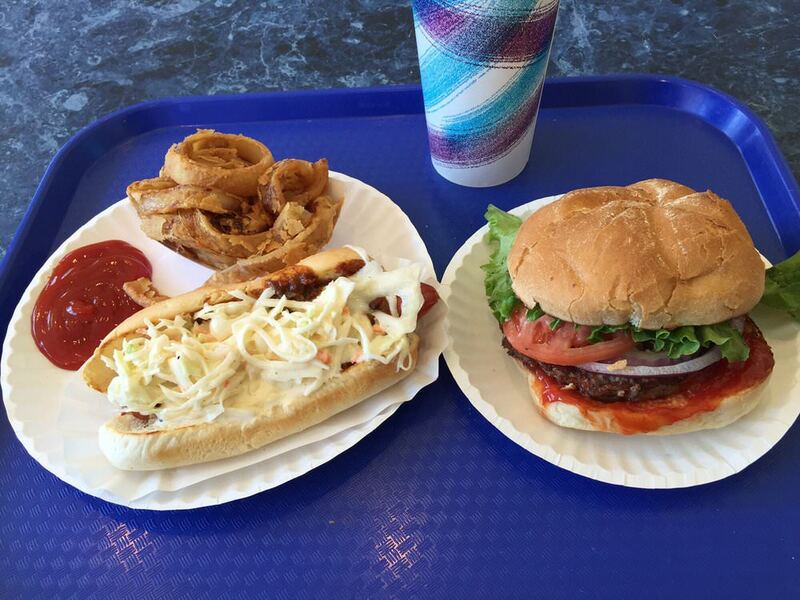 As a big fan of red relishes and grilled onions I must say that you live in a Summer Paradise. 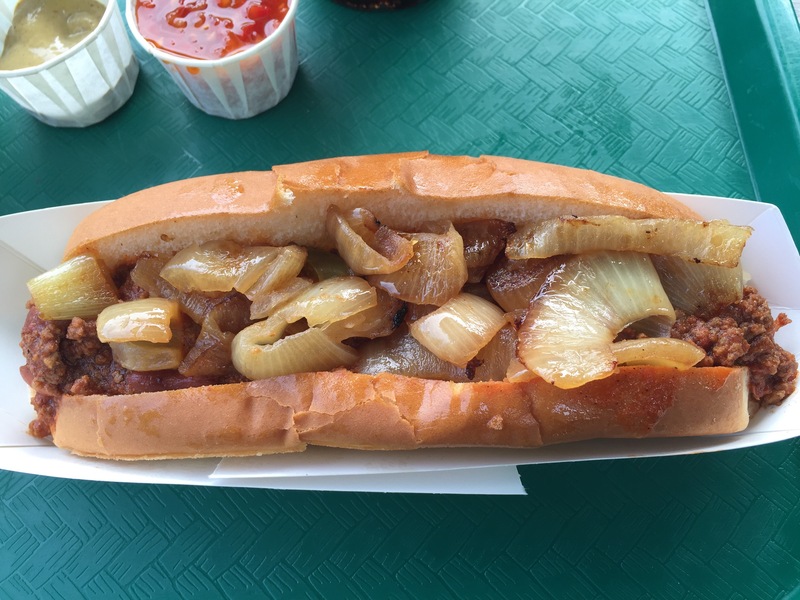 Last weekend, I was looking to try a new place, so I headed out to the Bethel Hot Dog Palace along Route 6. 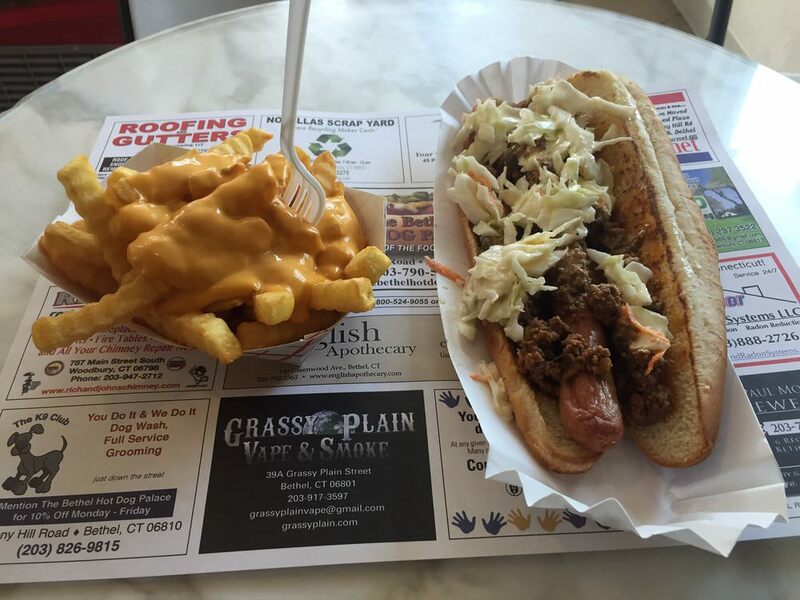 Foot-long chili dog topped with coleslaw, and cheese fries. Not impressed. 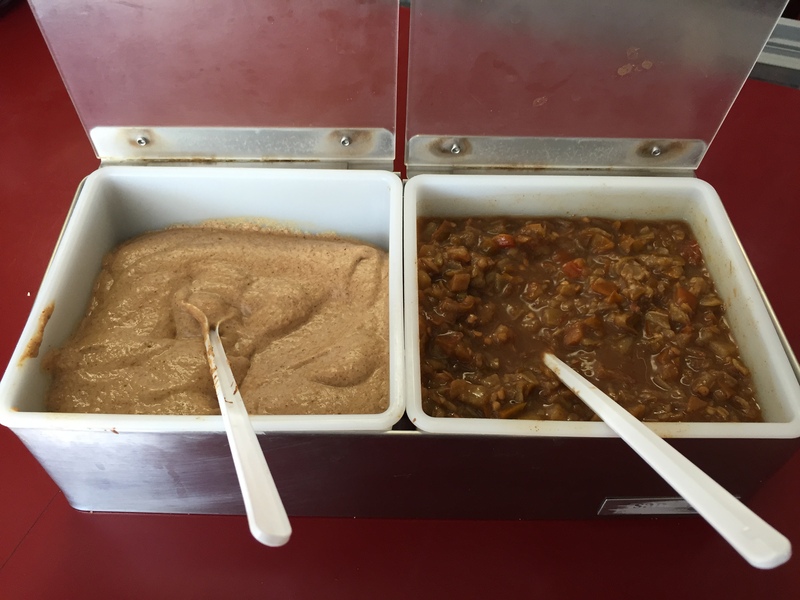 The chili / meat sauce was dry and average-tasting, the slaw also dry (!) and contributing almost nothing. I can't say it was bad, exactly, but it certainly wasn't anything that I'd go out of my way for in the future. 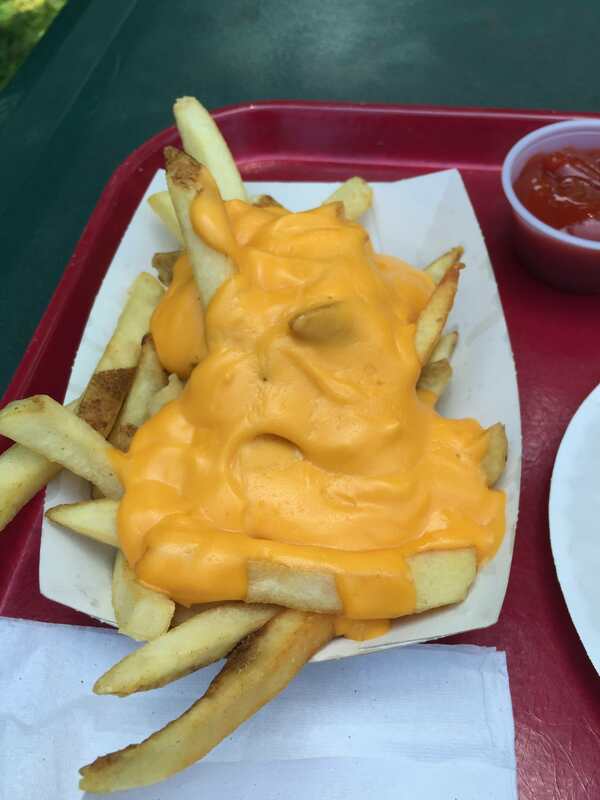 The sauce on the cheese fries was a step below what I'd seen at other places of this type. I'd have preferred it wasn't there at all. 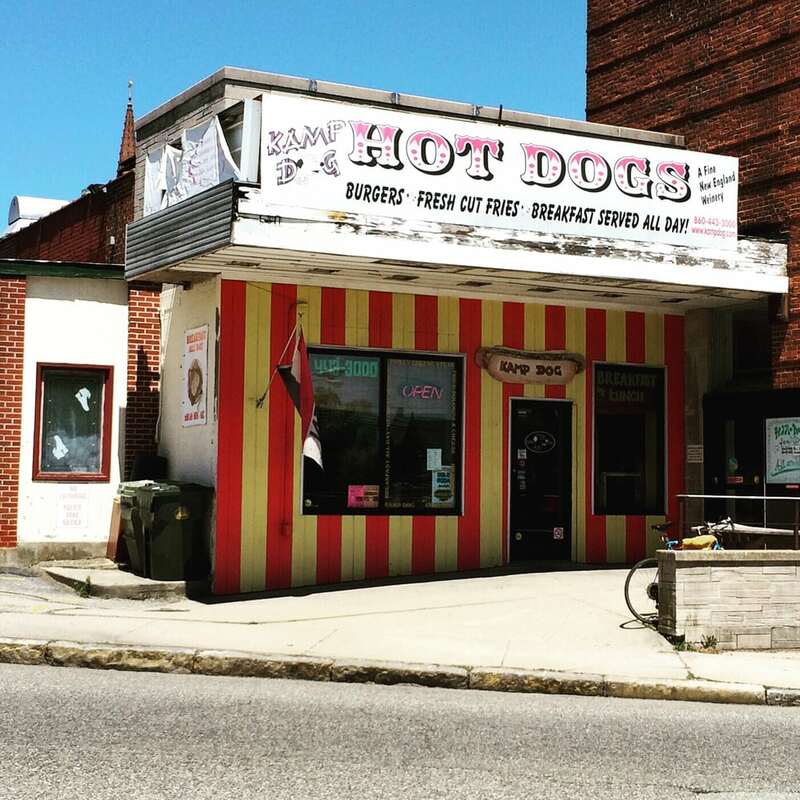 The Bethel Hot Dog Palace may have been a rockstar under previous owners, but, based on what I had, I can't say that I'd recommend it in its current incarnation. 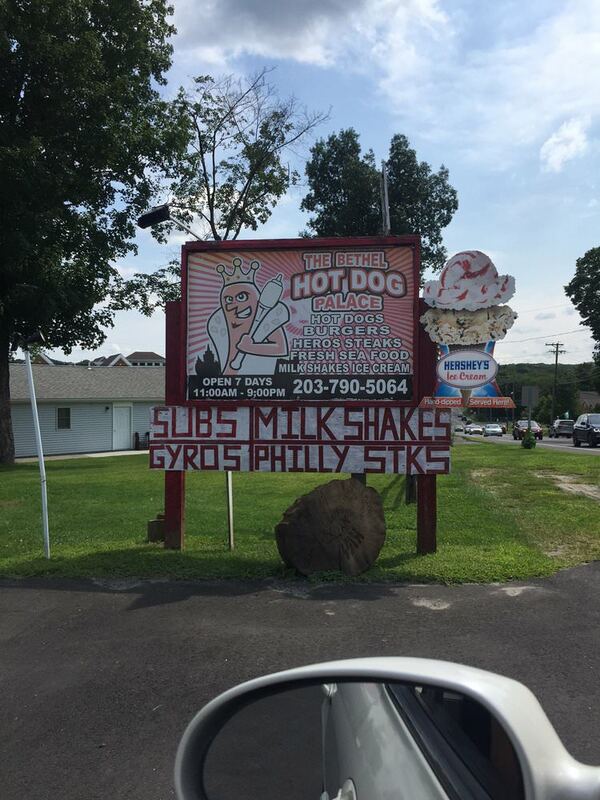 It's possible that they do fantastic burgers or gyros or Philly cheesesteaks... I have my doubts. I sought to set things right today with a visit to good old Clamp's. Oh, those exquisite onions. No one in this state does those better than Clamp's. No one. 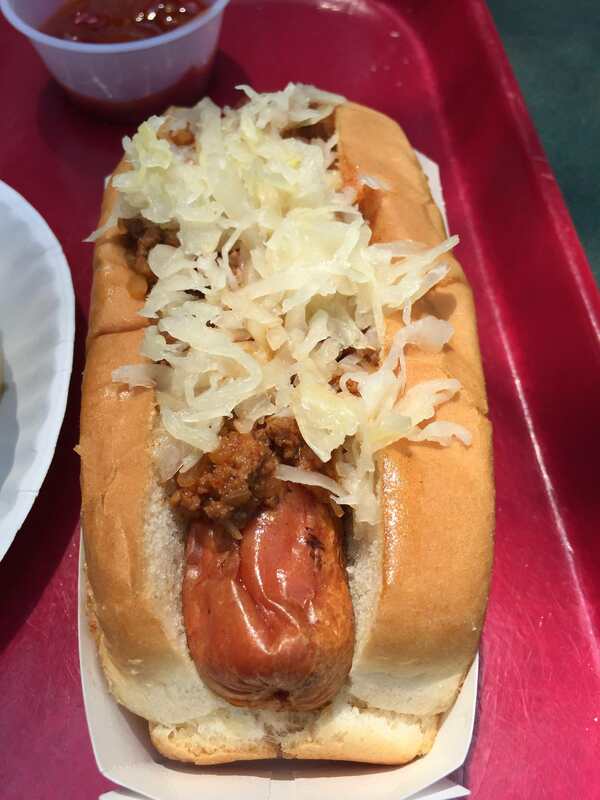 I got my hot dog Coney-style. 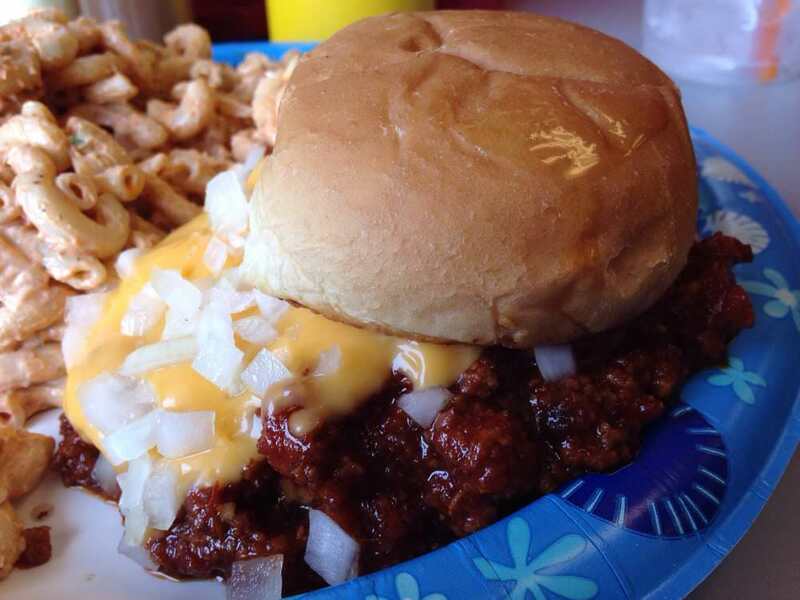 The chili is good enough that the lack of a New England bun can be forgiven. 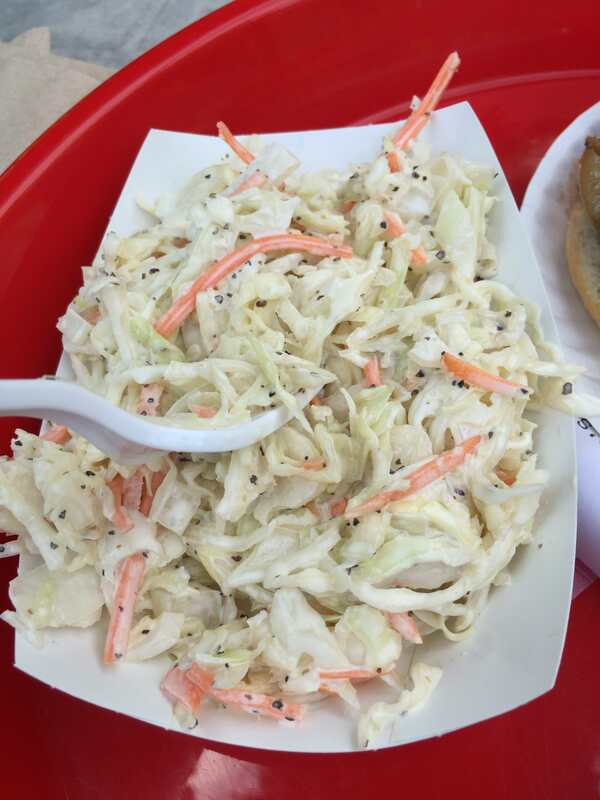 Fries or onion rings can be a little too much alongside greasy fare; coleslaw is a refreshing alternative. 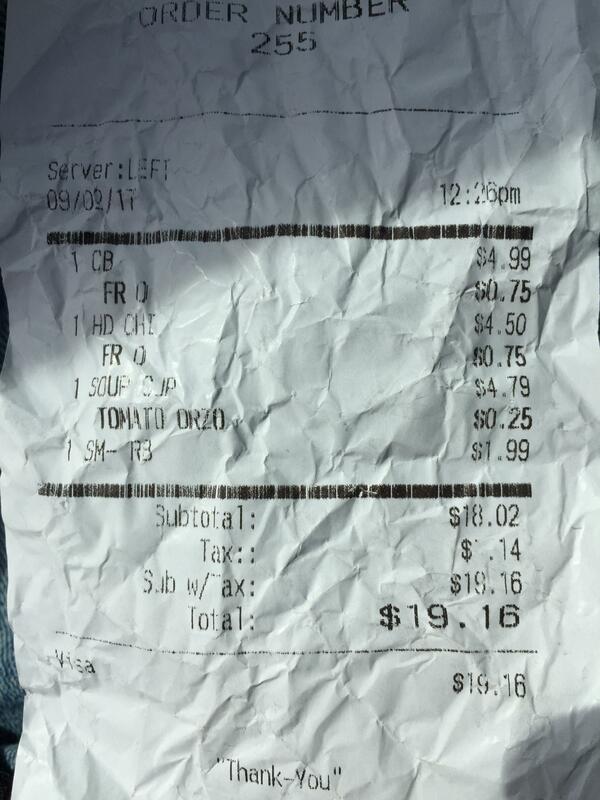 I got a decent portion of it (for $3.35, I better), enough to add to my burger and dog and have plenty left over. This is a place where one lingers, just as Clamp's itself has lingered. Again, not cheap, but then, neither are Five Guys or Shake Shack, and I'd take Clamp's in a hot second over either of those. 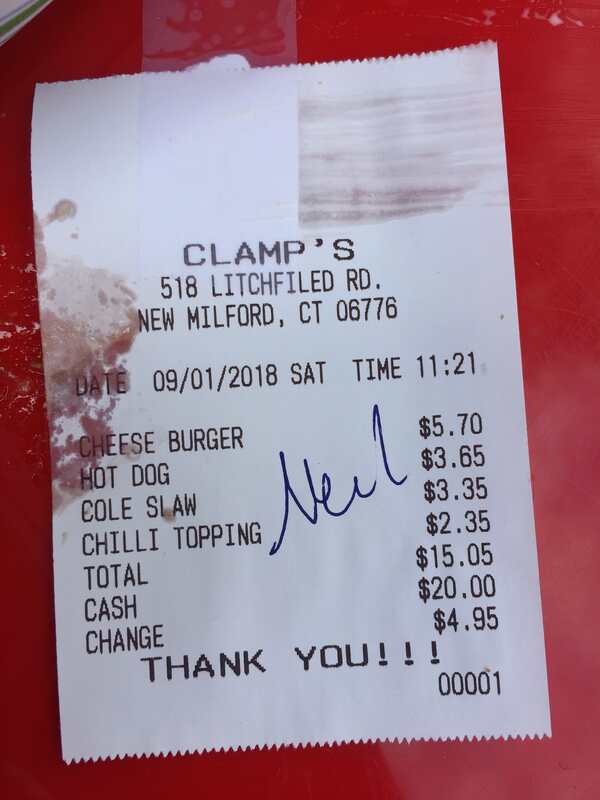 You can see that they've spruced up their receipts (and prices) since my visit last year. Should that be "Litchfield Rd."? 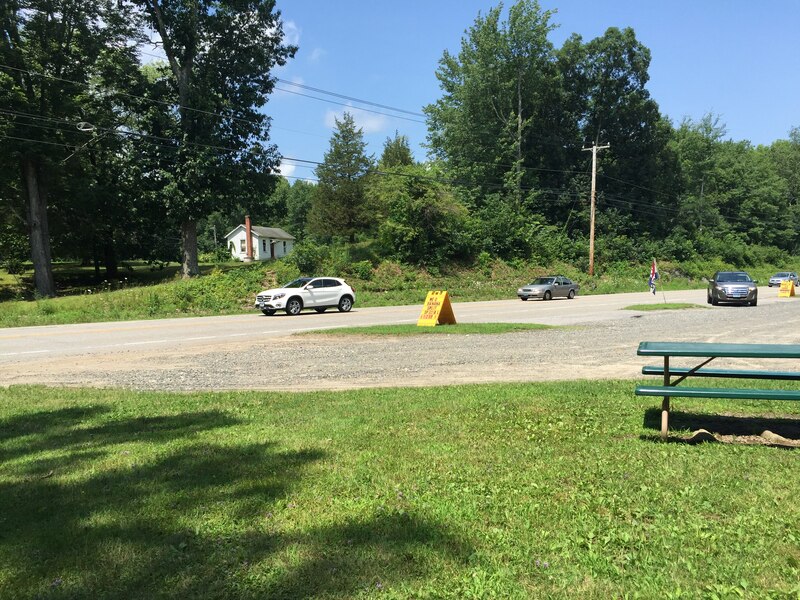 If this was your last roadside stand visit of the summer (I know, technically there are still 3 weeks left) it looks like you wrapped up the season on a high note! 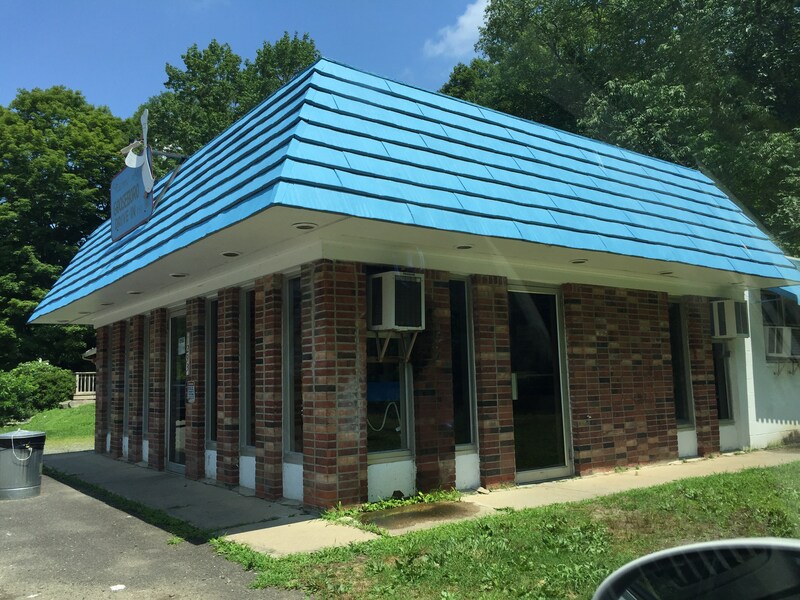 Welllll, there's one more place that I've got my eye on - but it's White Hut in West Springfield, so it technically can't go in this thread.